Colors can appear differently from one computer monitor to another including mobile devices. Our site is best viewed with the newer 4K resolution monitors with high value color settings. We highly recommend that you mail your fabric, wallpaper or paint samples for color coordinating. Email info@bellalino.com for mailing address. 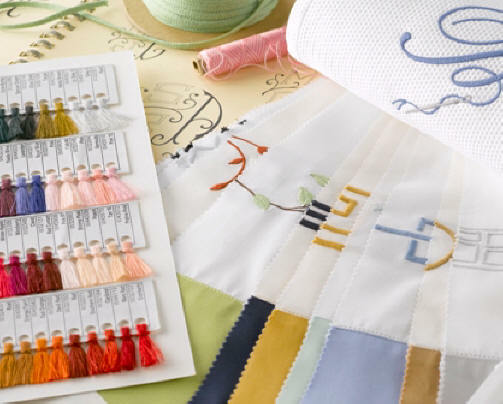 To request thread swatches in advance of purchasing, please Click Here to order Thread Swatch Cards or samples.